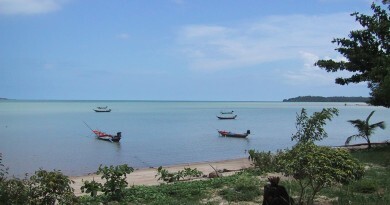 Soldiers descended on Ban Tai beach following a tip off from locals that a beach party was being held. 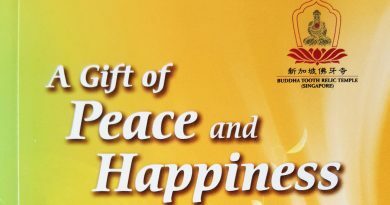 Earlier this month, it was announced the official Full Moon Party had been cancelled for October ahead of the cremation for late king Bhumibol Adulyadej. 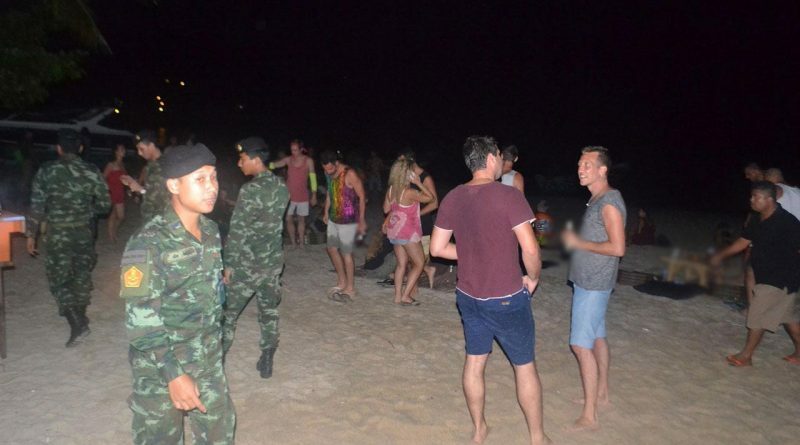 On the beach soldiers found more than 100 foreigners partying, Thairath reported. Also found was evidence of illegal drug use and drugs for sale. 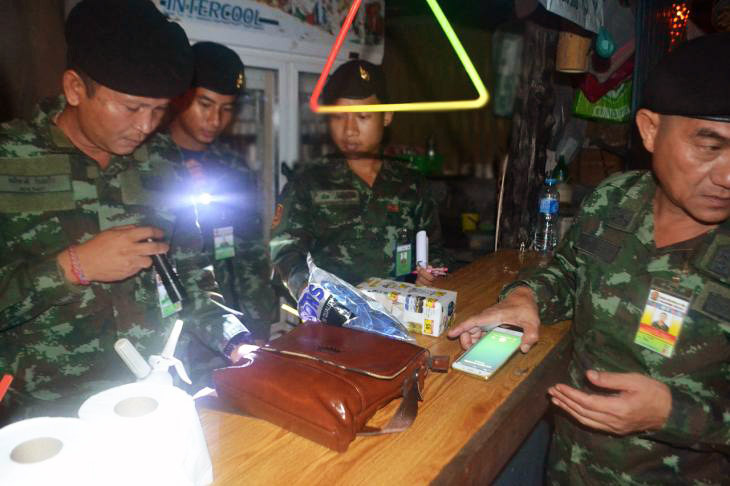 Soldiers confiscated 147 cylinders of Nitrous Oxide, commonly known as hippy crack, as well as a large amount of cannabis and other drug paraphernalia. Thairath described the holding of the beach party during the month of October “inappropriate”. 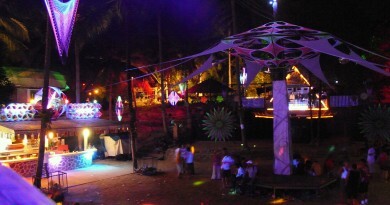 Soldiers later visited Haad Rin beach, the venue of the original Full Moon Party. While not on the scale normally seen at a Full Moon Party, loud music was still playing and foreign tourists were seen eating and drinking. Thank you to Thairath “ทหารบุกทลายปาร์ตี้ เกาะพะงัน เปิดเพลงลั่น-พี้ยาเพียบ เย้ย กม. (คลิป)” which was brought to us by Google Alerts. We want to live on Koh Phangan Island permanently! Any regreds so far? 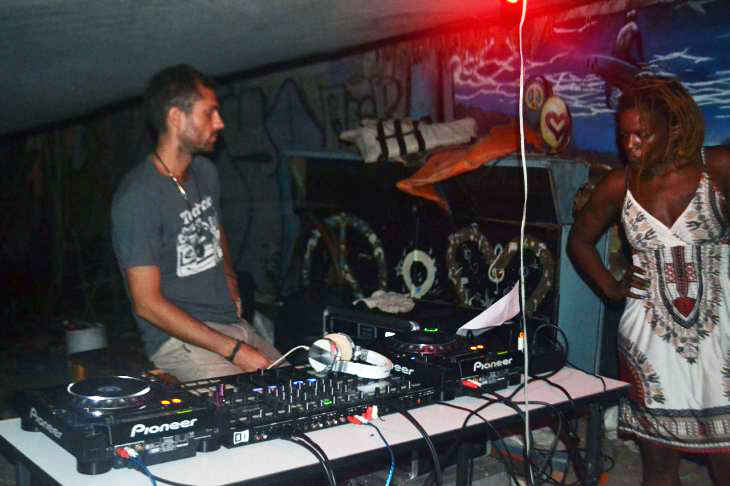 Half Moon Party Festival Koh Phangan charges 100 Thai Baht entrance fee! Your article is full of rubbish get ya facts right for example the party was shut down at mid night… I wasn’t there but I know the girl in the picture and she called me as it was getting shut down… you should be supporting this island not smearing it’s name in the mid like the rest of this country does! 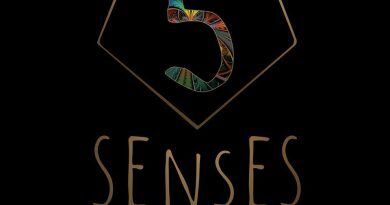 Half the ferrangs that ever come to Thailand and especially Koh Phangan come here because of parties… Phuket had a 4000 people rave but no one reported about that why are they not disrespecting the royal family?? Disgraceful really is and very bad reporting in my country I would report you and you would get your license taken away if you even have one! What is your country, and are you proud of the (alleged) fact that your local news outlets have no freedom to report the news for fear of reprisals from the likes of you? BTW… Phangan rarely gets “smeared”… get YOUR facts straight, tourista.